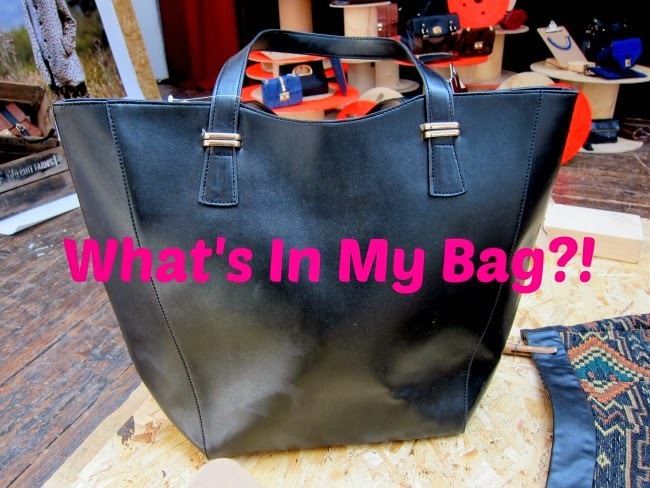 What's In My Handbag (And Everyday Makeup Bag/s)?! I like to tightly edit the contents of my handbag. Everything that’s in there has a purpose – often several purposes – and I know exactly what I’m carrying and why, and where I can lay my hands on it in a hurry. That lasts for, oh, about half a day; over the following weeks I slowly cram as much stuff in there as is humanly possible until I can hardly carry it, and I need to clear everything out and start over. I just can't help it - believe me, I've tried! I’m just about at the end of that cycle now so it seemed as good a time as ever to share with you the contents of my bag. I’d love to know what you carry about in yours? Tell me in a comment or, if you’ve done a post or video on the topic, leave the link below! I love your videos Emma & it's always great to have a rummage in someone else's bag!!!! Can't wait to watch this video! Great video. I always love seeing what other people have in their handbag. My handbag always has way too much stuff in it. I have just one question Emma? Can we exchange bags??? The items you have in yours is wayyyyyyyyyyy better than what's in mine. HAHAHAHA Excellent video! You're so cute! i haven't done a post on these in years!! i should do a video! Your bag sounds like mine! Always has multiple bags inside to hold makeup, but always find one or two lipsticks rolling around the bottom.